Sancy Shaw and daughter Charlee were together Christmas Even when they were hit by a woman who police said was driving drunk. A scholarship in honor of Sancy Shaw will go to a senior each year at Steamboat Springs High School to help with college tuition. 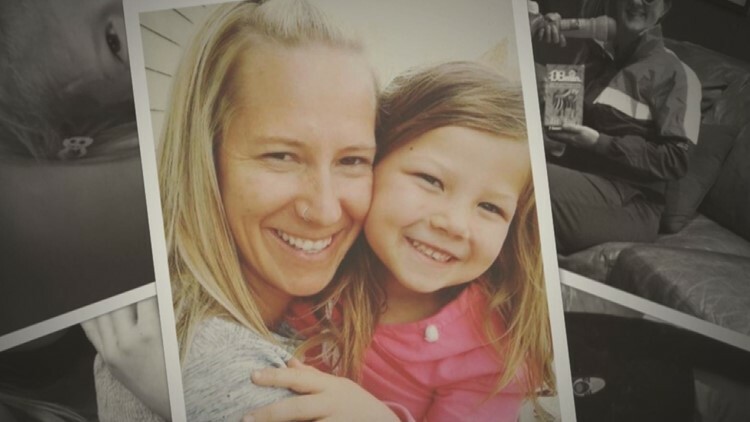 DENVER — The family of Sancy Shaw – killed by a drunk driver on Christmas Eve in a crash that also critically injured her daughter – on Monday announced the creation of a scholarship in her memory. Live Like Sancy – The Sancy Shaw Memorial Scholarship was established to assist a senior at Steamboat Springs High School with college tuition, according to her husband, Brett Shaw. The announcement came just days after the couple’s 6-year-old daughter, Charlee, underwent brain surgery and then developed a blood clot, necessitating a second operation. She is undergoing physical, occupational and speech therapy, and she was able to sit in a chair for a couple of hours over the weekend. Sancy Shaw, 38, was a science and English language arts teacher at North Routt Community Charter School. She loved all things outdoors – runner, fly fisher, skier, snowboarder, soccer player – and was devoted to her Christian faith. In addition to Charlee, she was the mother of three boys. Sancy had taken Charlee to a clinic on Christmas Eve because she and Brett thought she might have strep throat. Sancy and Charlee were headed back to Evergreen – where her extended family was gathered for the holidays – when a woman driving a pickup lost control of her vehicle, crossed the median, and smashed into them. Sancy died at the scene. Charlee suffered serious injuries and was hospitalized for nearly two months before going home Feb. 20. The driver who hit them also died in the crash. There are two ways to contribute to Live Like Sancy – The Sancy Shaw Memorial Scholarship.